This easy peasy crochet baby blanket is really quite easy to do and it’s a really great project. 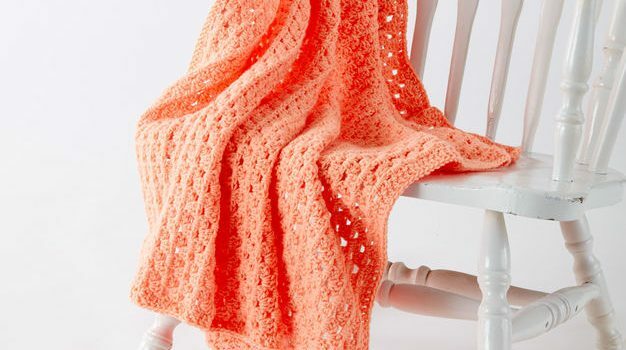 People looking for a great charity project or who want to make gifts for somebody they love, will find that this Easy Peasy Crochet Baby Blanket in Caron One Pound by Yarnspirations is a great pattern to keep as a go-to crochet project. So if you’re one of these people, this pattern is great, is easy to follow, with a great style and is very beautiful. Watch the video tutorial below, courtesy of Mikey of the Crochet Crowd and learn how to crochet this easy baby blanket in Caron One Pound yarn. Thanks to Yarnspirations for the article inspiration and featured image.